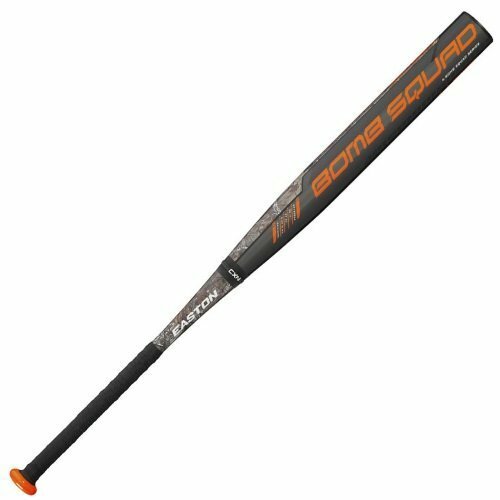 The Salvo Composite is one of the bestselling one-piece bats from Easton, and this alone is enough proof that it is top notch. It has a balanced swing weight, but it is still suitable for both contact and power hitters. It is an all association model with approvals from ASA, USSSA, NSA, ISA and ISF that uses the IMX Advanced Composite Technology to optimize the sweet spot. The slowpitch bat has a standard size 2¼ inch barrel with a diameter of 13.5 inches and a thin handle with an Ultra-Thin Gauze Grip. Design: This bat is a one-piece that feels great when you hit the ball, and it is also very easy to swing. It has no sting and vibrations, and so it will help ensure you enjoy the game. Weight Distribution: The Salvo Composite is a balanced swing weight bat, but it still feels a little end loaded and this means that both power and contact hitters can be able to use it. Certification: Although Easton markets it as an ASA and USSSA bat, it still has approvals from several other bodies including ISF, ISA, and NSA. Barrel: It has a standard size barrel which has a 2¼ inch diameter and a length of 13.5 inches, and this means the barrel is a perfect size and suitable for players of different ages. IMX Advanced Composite: The IMX Advanced Composite is one of the things that make Easton bats unique, and this is because this technology optimizes the sweet spot to ensure that you always make amazing hits. Handle: This amazing bat has a thin handle that is only 29/32 inch in diameter with an Ultra-Thin Gauze Grip. The handle is a perfect size for most hands, but you may need to replace the grip with your favorite lizard skin. Salvo Composite has an amazing pop right of the wrapper. Sweet Spot is large enough. The one-piece gives it a great feel when it comes in contact with the ball. It has a fantastic price if you compare it to others on the market. This bat has tournament approvals from most bodies. You get to choose from a few colors. The graphics are simple but still very attractive. The grip looks uncomfortable, and you might need to replace it. It feels quite end loaded for a bat that it meant to be balanced. This bat will not work for players that prefer two piece designs. All your teammates will want to swing it. There are many slowpitch bats available on the market, and so it is not always easy to choose among them. However, to make things easy, it is a good idea to stick with reputable brands such as Easton. But, this is not the only things that make the Salvo Composite an amazing slowpitch bat. 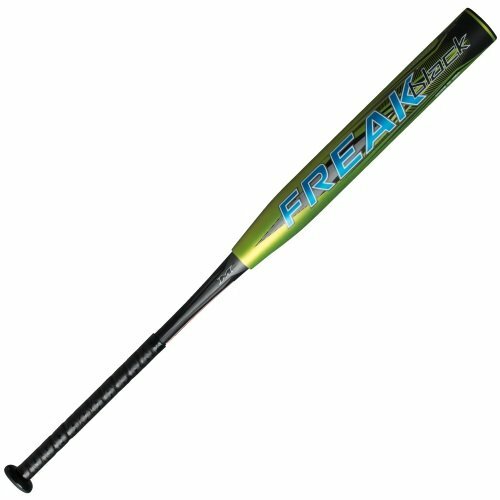 This one-piece bat is hot out of the wrapper with a fantastic pop, and so you will not need to break it in. Apart from this it also has an amazing sweet spot and a great feel when the ball comes into contact with the bat. All these things make it a great slowpitch bat that will work well for all players that prefer to swing a one-piece. Even if you take into account the few demerits such as the grip that you might need to replace it still a top notch bat that you can own without having to spend a lot of cash.